If patrons need assistance in moving show assets, shavings, etc., within the park, please contact our Operations Manager or your Event Manager. A Release of Liability must be signed before any work is undertaken by Park personnel. Check with the Park office for fees. 24-hour advance notice is necessary. 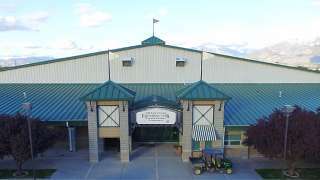 The Equestrian Park is responsible for the stall and barn structures. All requests for repairs need to the submitted on a Work Order Form. Forms are located in the main office.